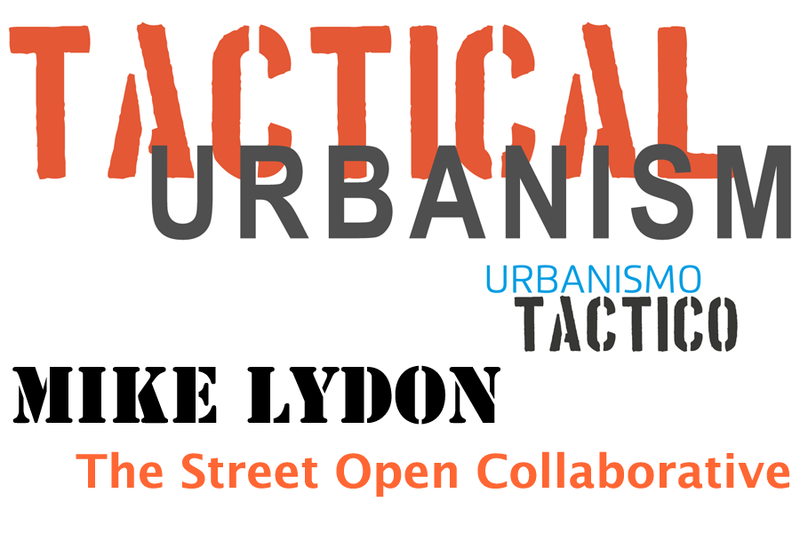 I’m very happy to share with you that Mike Lydon from The Street Plans Collaborative is going to give a talk about Tactical Urbanism at ZZZINC. We hope you can come to join us on thursday 15th at 19:30h, as usual at ZZZINC venue. Mike Lydon (@MikeLydon) is the Principal at The Street Plans Collaborative, Co-author of The Smart Growth Manual (amazon), creator of The Open Streets Project (issuu) and Tactical Urbanism Vol. 1 + Tactical Urbanism Vol. 2 (issuu). The development of social capital between citizens and the building of organizational capacity between public/private institutions, non-profit/NGOs, and their constituents. You’ll probably know a lot of tactical urbanism, but here there are a few samples: Park(ing) Day, Mobile Vendors, Guerilla Gardening, Chair Bombing, ad – Busting… many ot them have been showed on Spontaneous Interventionsat the USA Pavillion in the 13th International Architecture Exhibition Common Ground of la Biennale de Venezia. I want to go.. Closed. Confirmed people will enter first and then until full capacity. Free as usual but RVSP needed because of the limited capacity. Language: English only, no translation. Coordinator Paco González – radarq, you can ask me about details through Twitter @pacogonzalez or email.